To support individuals affected by TSC, together with their families or carers. To encourage and support research into the causes and management of TSC. To provide education and information. 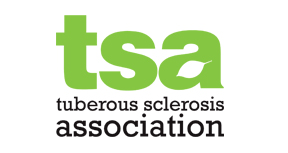 TSA Trustees have a personal connection with Tuberous Sclerosis Complex. Many of them are parents of children with TSC or individuals with TSC. If you would more information about the Board of Trustees or are interested in getting involved please contact the Chairman. The following committees are made up of Trustees and other members of the association. If you would like to be more involved in the work of the TSA then becoming a member of a committee is a good way to start. Contact us for more information. Tom Carter, Philip Goldenberg, Dr Chris Kingswood, Christine Naylor, Rob Vaughan. Prof. Alex Blakemore, John Blay, Jeannie Blay, Prof. Petrus de Vries, Dr Frances Elmslie, Dr Eric Finlay, Dr Danny Gale, Carole Hagan, Laura Hughes, Perry James, Dr Anna Jansen, Prof Simon Johnson, Dr Larissa Kerecuk, Dr Chris Kingswood (Acting Chair), Emma McManus, Dr Emily Osterweil, Corinne Swainger, Prof. Ben Whalley. Tuberous Sclerosis Association company information is available from the Companies House website.